Achieve greater speed and efficiency for database, transactional and other highly multi-threaded applications with transactional memory supported by 50 percent more cores and 2x the number of simultaneous threads per core. The OpenPOWER Foundation, the open technology platform at the core of IBM Power Systems™, presents a world of community created innovation, applications and technology components to help quickly deliver a broader set of applications and new technologies. Leveraging open standards, Power Systems provide developers with tools tuned for a platform that can boost productivity and performance by removing constraints imposed by commodity architecture. IBM Power® servers are designed for the compute-intensive performance demands of database and analytics applications. 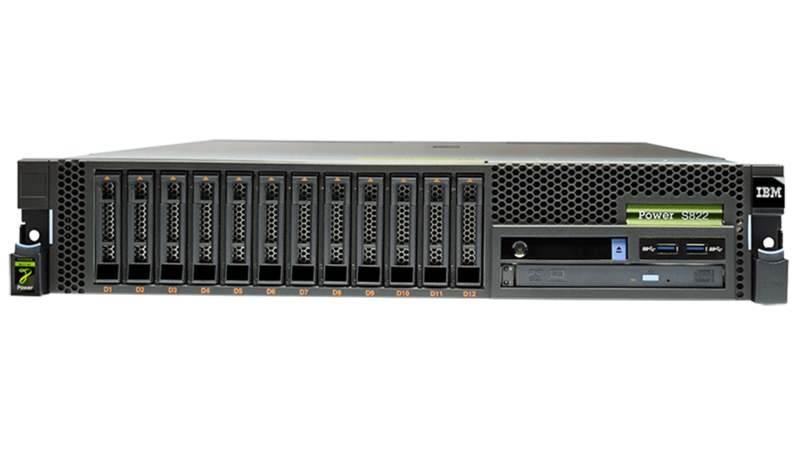 These servers can flexibly scale to support the needs of rapidly growing data for midmarket businesses, with industry-leading reliability.